While attaining clients’ objectives is my top priority, I also make it my goal to keep the mood of the office light and comfortable. Peter has been a member of the Leone, McDonnell & Roberts, Professional Association team since 2003. In his current role as Principal, he is responsible for multiple pension, 401(k) and 403(b) plan audits. 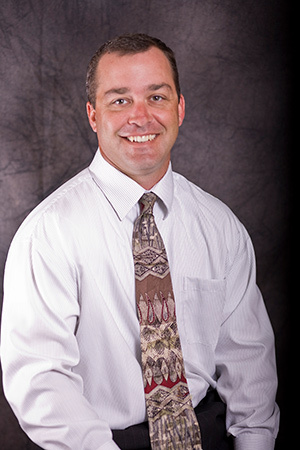 Peter is recognized within the firm as an expert with regard to employee benefit plan audits. He is also responsible for audits of many of the firm’s manufacturing clients along with small and mid-size tax clients. Since his public accounting career began more than 20 years ago, Peter has developed a strong background in and knowledge of several different industries. Specifically, he has spent more than a decade working with clients in both the manufacturing and not-for-profit sectors and has extensive experience with the Employee Retirement Income Security Act (ERISA). Partially due to his friendly personality and strong communication skills, Peter is by nature a very sales oriented individual. He continually attempts to generate new business for Leone, McDonnell & Roberts and ultimately help the firm grow and prosper. In one example, Peter served as a liaison between the firm and an outside investment company, which enabled Leone, McDonnell & Roberts to offer investment planning services to its clients. In addition to maintaining his focus on the success of both the firm and its clients, Peter extends his commitment and knowledge to local college students. Peter speaks periodically to students at the University of New Hampshire about the accounting profession. After growing up in Plaistow, New Hampshire, Peter experienced life in other parts of the country, spending five years in Georgia and two years in Michigan. He then moved back to his home state and currently resides in Durham with his wife, Lori, and their two children. While away from the office, Peter is an avid outdoorsmen and enjoys participating in a variety of sports.